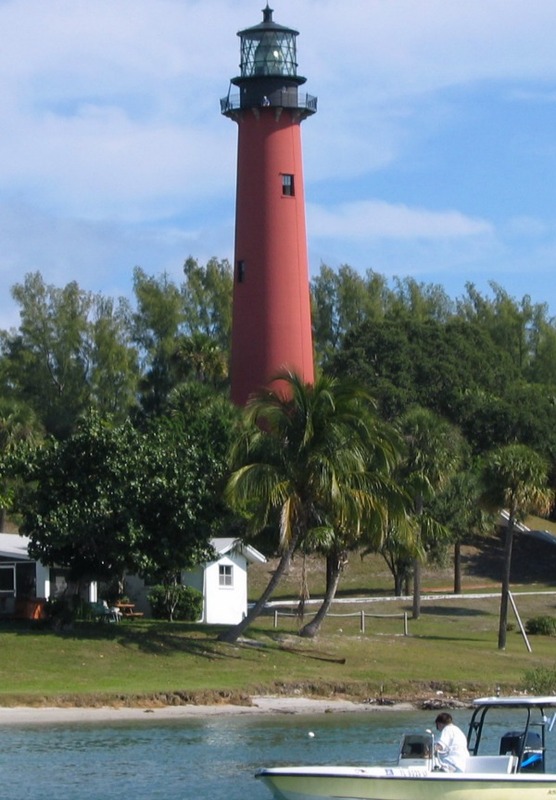 The Jupiter Inlet Lighthouse and Museum has been open to the public since 1972. The tower was first lit in 1860 and has a wonderful view of Jupiter Inlet, the Intracoastal Waterway and the Atlantic Ocean. In World War Two the lighthouse property served as a U.S. Navy radio detection station. The station is credited with providing information that led to the sinking of more than 60 German submarines that had been torpedoing Allied ships along the Atlantic coast in 1943. Tours of the lighthouse grounds and museum, including tower climbs, are available to the public. The lighthouse is on a large property that also includes nature walks and various scenic events such as lighthouse sunset and moonrise tours. The lighthouse property also serves as a park and community center for the area and has a busy event schedule. The museum is also open to the public and features many exhibits of Native American and early pioneer culture. May-December. Open Tuesday - Sunday 10 am to 5 pm. Closed Memorial Day, Independence Day, Labor Day, Thanksgiving Day, Christmas Day. January-April. Open 7 days a week 10 am to 5 pm. More information about the lighthouse and its various events is at Jupiter Inlet Lighthouse & Museum.